Product #27163 | SKU A-5882B-GB | 0.0 (no ratings yet) Thanks for your rating! 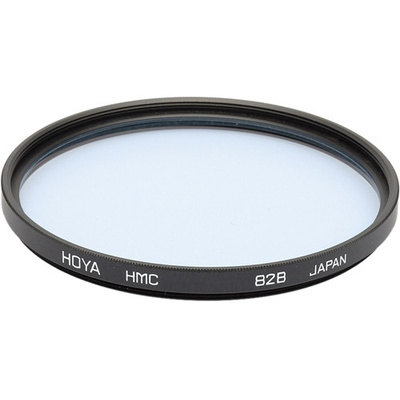 An 82B is a light balancing filter used to increase the colour temperature 200 degrees for a cooler tone than an 82A. This light blue filter absorbs the excessive yellow-red light from daylight in the morning and evening hours and keeps skin tones close to natural. Whereas the 81 Series of filters creates a feeling of warmth, the 82 Series creates a feeling of coolness. Multicoated to minimise reflection at the filter surfaces which reduces flare and ghosting.